The Google Pixel 3 XL’s notch. A design feature that has stood out since the very beginning for all the wrong reasons. Some even called it a step backward from the Pixel 2 XL’s design. But thankfully, Google appears to have listened to these criticisms. This new option essentially turns the Pixel 3 XL into last year’s Pixel 2 XL, albeit a version with a slightly larger display. After all, while the notch can be hidden, the screen real estate on either side of it is still used for displaying notifications, time, battery level, and the usual Wi-Fi and mobile network signal graphs. On a related note, Google interestingly confirmed yesterday that it also tried to include a notch on the smaller Pixel 3 but, ultimately, hardware restrictions related to the stereo speakers and the selfie cameras forced it to scrap the idea. Moving forward, though, this does suggest that all future Pixels could include the design element. Or like what Timmy did with that deceptive wall paper on their advertisements. The IPhones don't give you an option to hide the notch. Apple doesn't even give its developers the option to not support the notch, or your iOS will be rejected. Android gives you options and controls for almost anything. Why compare Android to a restricted and limiting OS like iOS. Because iOS is better in every single way! Oops! I think you may have just gotten some malware or a virus on your Android device! LMAO! i do not care what people say, even if its "hidden" it is still there and is visible. and why put a notch just to put an option to hide it. Because even if it's hidden, the screen real estate increases. Believe it or not, some people actually like notch design, and think it's cool or something. to me the "hidden" notch looks cool, like there is a second display just for notifications and clock, battery, etc. as long as the video doesn't zoomed in to the notch, it's all good. i rarely zoom-in on my S8 anyway, videos look weird and get cut. but the notch on the 3 XL is too deep/thick, and the chin is very thick too. I think every body prefers the "traditional smartphone look". NO they don't! Stop making things up! 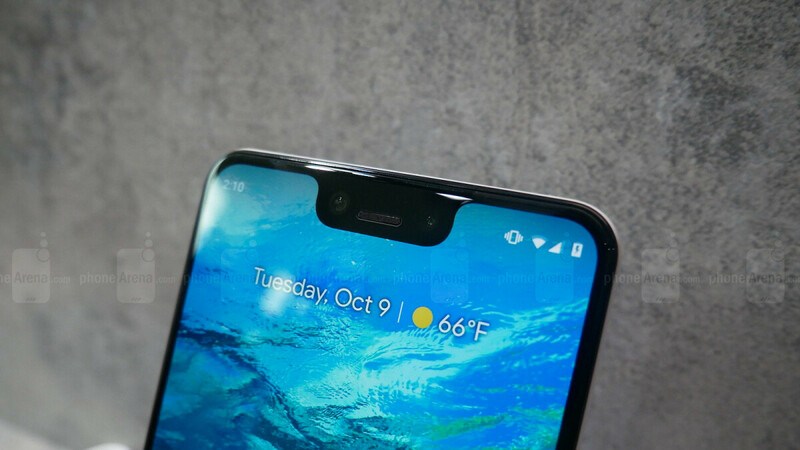 So notch, thick bezel when hidden and chin? Bad and ugly design! If this will be hidden. The screen size will reduce to atleast half an each :( and that will be a big No No for users love big screen! I still don't know why you would want to hide the notch, well that's one horrible notch :) but overall, is here users who are hiding the notch with their current notch phone? Why you want to have thick bezel and hide the screen with black? Because the screen in the horns is irrelevant with exception of status bar, just like iPhone and others. You aren't loading the status bar by hitting it. Hiding it will make the usable screen more symmetrical to that huge chin. Not for me because a unibrow of any kind is incredibly lazy design but this makes sense. Best way to hide it - don't buy it. Google could have done much better. Notch with purpose is one thing. Huge notch for negligible, if any, benefit, is pointless. It would be way better if one can hide the notch but the icons staying in that area therefore leaving the screen that much bigger. If the icons get pushed down into the screen when the notch is hidden it will decrease screen real estate. You comment makes no sense!! WTH are on? And can I have some? Loving this notch. I think I might have to trim my notch a bit to show how much I love it.